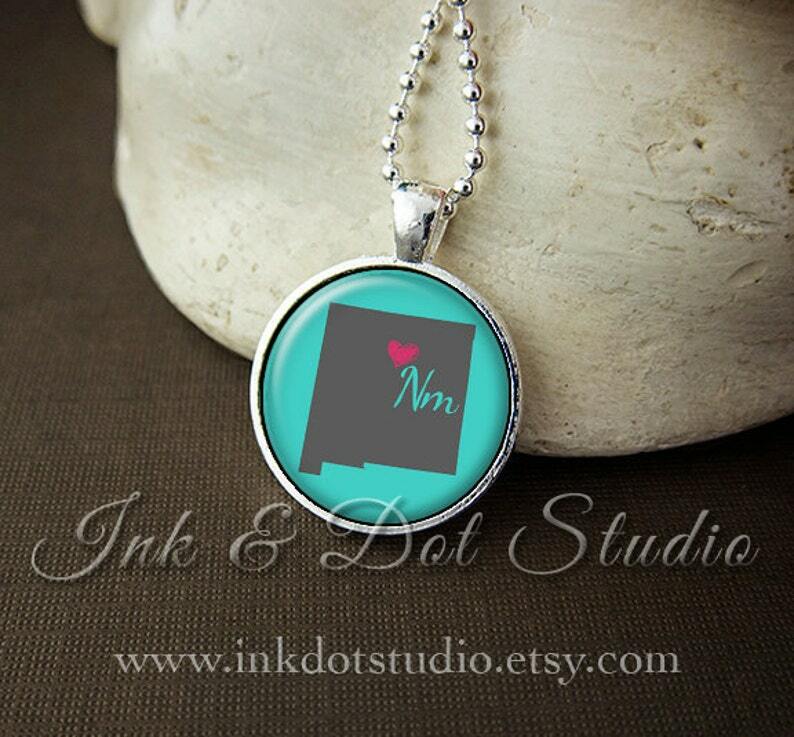 Show off your state pride with this 1" New Mexico state glass pendant necklace! This pendant makes a great gift and souvenir. This design is an original by Ink & Dot Studio.